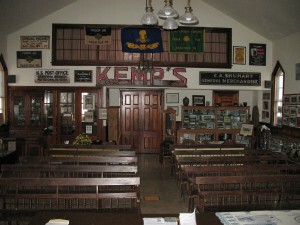 We have many old and interesting artifacts in our museum. We have books full of old pictures of the area. There are many great photos of both Sanatoga Park and Ringing Rocks Park during their heyday. 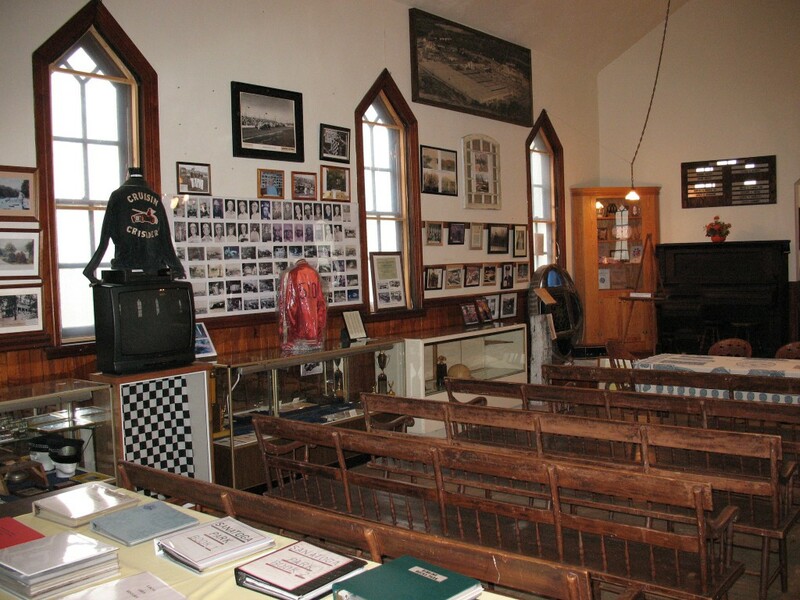 We have display cases with memorabilia from the trolley era, the Sanatoga Fire Co. and the Ringing Hill Fire Co., as well as the days of the Sanatoga Race Track. 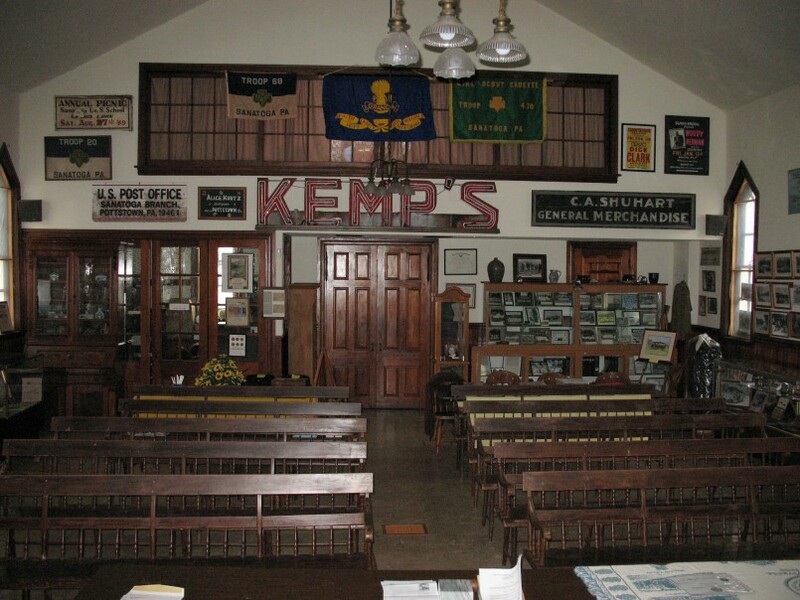 There are signs from some of the landmarks in the area like Kemp’s store, and Shuhart’s before them, and Pleasantview Farm (the Saylor farmstead). There are a lot of class photos both from the different schools, as well as from the Sunday School itself. 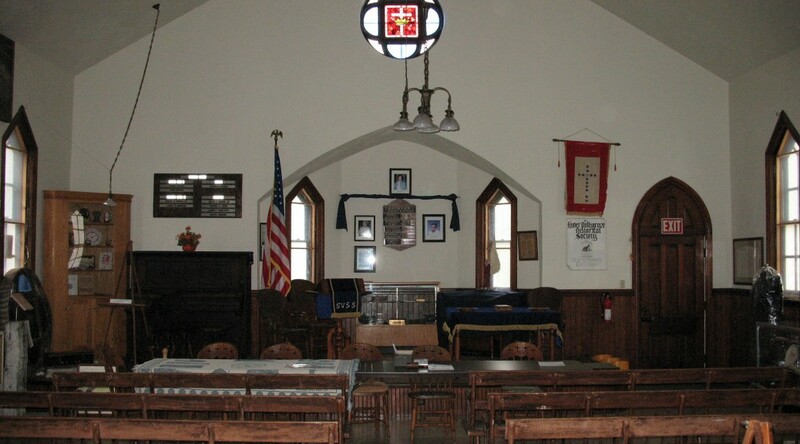 We have the original bible from the chapel in a display case. 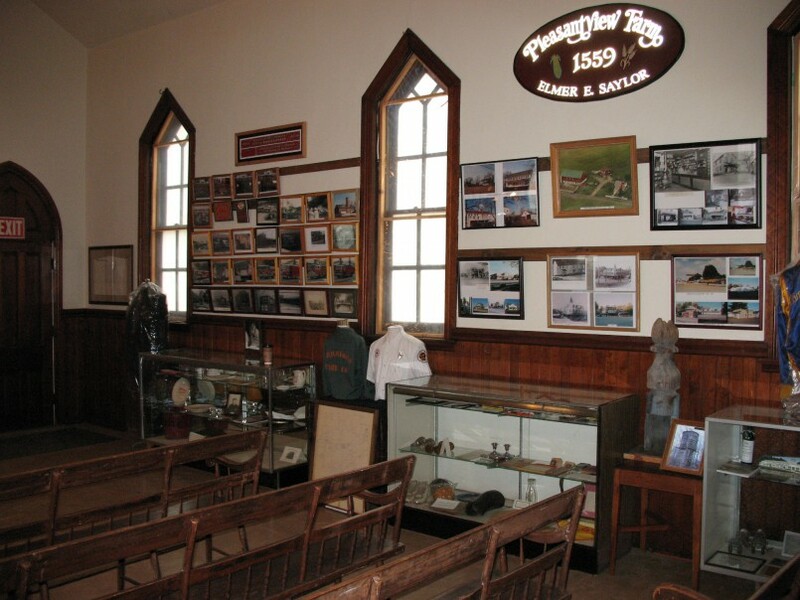 We have old sleigh bells from the Kurtz farm on display. There are pictures of some of the old farmsteads in the area, and some interesting shots of the harvesting of the ice at Pruss Hill Dam. 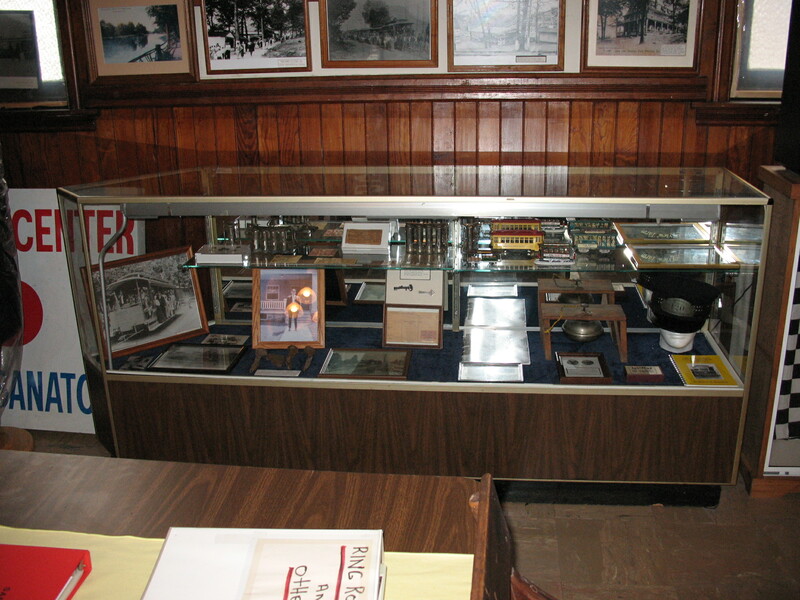 We have photos and memorabilia from the 1976 Bicentennial Wagon Train encampment in Saylor’s field displayed in a cabinet built by Elmer Saylor. We also have some articles of clothing, such as a trolley conductor’s uniform and an old fireman’s uniform. Please come to one of our meetings or events and take a look at all we have collected. We are sure you will find something of interest to you.